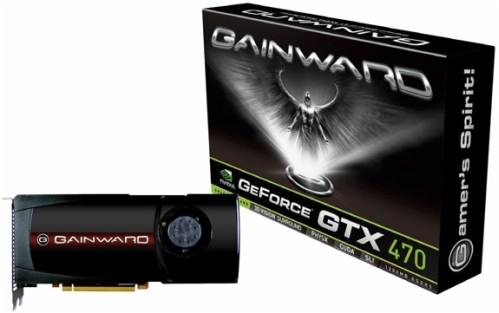 As one of Nvidia's partners, Gainward is also preparing its own GTX 470 and GTX 480 cards. Both should be available at Caseking.de on April 16th but are now available for pre-order. In case you somehow missed it, which we honestly doubt, the GTX 480 features 480 Cuda cores and works at 700MHz for the GPU, 1401MHz for shaders and 3696MHz for 1536MB of GDDR5 memory paired up with a 384-bit memory interface. The GTX 470 has 448 Cuda cores and works at 607MHz for the GPU, 1215MHz for Shaders and 3348MHz for 1280MB of GDDR5 memory paired up with a narrower 320-bit memory interface. 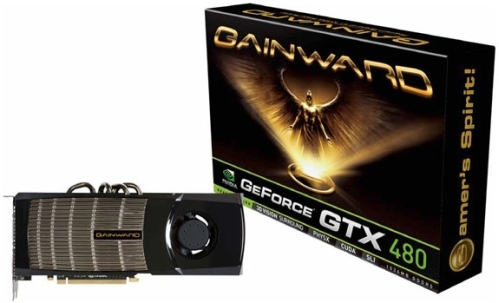 Caseking.de has both cards for pre-order and although we don't like the price that stands at €349,90 for the GTX 470 and €479,90 for the GTX 480, this seems to be as good as it gets.